Michigan released a new mandatory discrimination poster update. Please see below. Also the book is here! 101 COSTLY HR Mistakes...and how to fix them. You can click here to buy now, or read more information below. Our goal is to keep you informed and help you maintain compliance. We look forward to working with you. If you are an HR Professional and you want to join Elite HR Professionals Association, or if you have questions about our group, please respond to this email or contact Vanessa. It's Here! 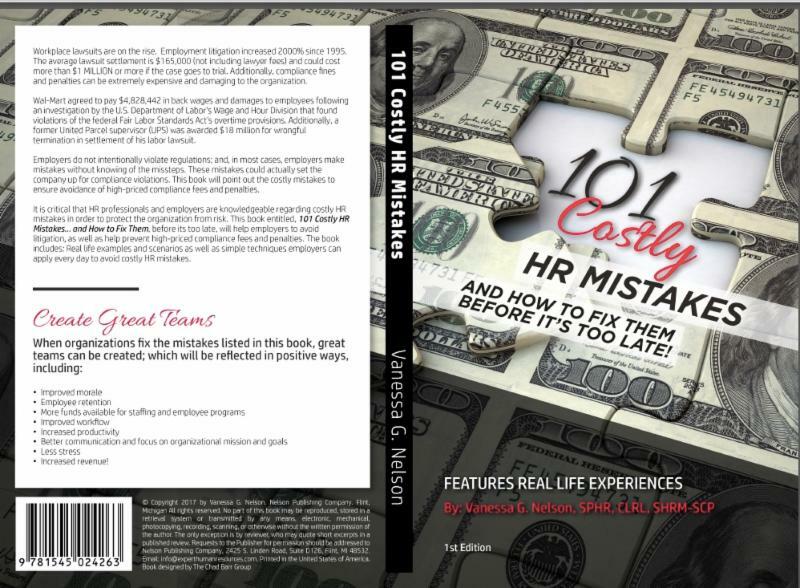 Pick Up Your Copy of 101 COSTLY HR Mistakes...and How to Fix Them (Before It's too Late) today! Introductory price $9.99 on Amazon Kindle and Apple I-Book. You could dramatically improve your bottom line and potentially save millions! Happy reading! Click here to get your copy today! Click here to get your copy of 101 COSTLY HR MISTAKES...and How to Fix Them!